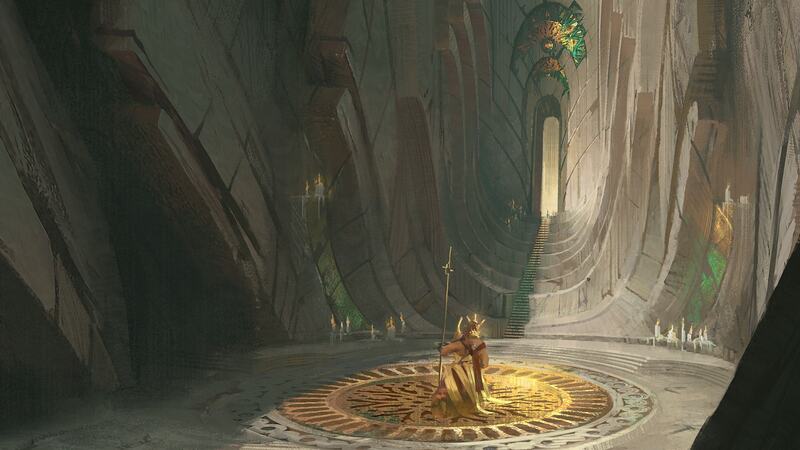 Religion in Runeterra, an update on Leblanc, and Cassiopeia's lack of shoes. Let’s talk future plans for Leblanc, Cassiopeia’s lack of shoes, and religions in Runeterra. Are you still planning on updating Leblanc? What do you think of her right now? Leblanc has some issues that we definitely want to address at some point. In her update last year, we resolved some of the problems that plagued her but introduced some new ones in the process. We took some time recently to test several variations of new spells on her kit. While a lot of them were interesting, they didn’t feel like the set of changes that would solve her problems and satisfy the desires of both camps of Leblanc players (those that prefer the old version and those that prefer the new one). If we’re updating Leblanc again, we need to make sure that it nails it, rather than just creating an additional group of players that prefer now an additional version of Leblanc. Having not found anything that we were satisfied with yet, we’re opting to table further Leblanc rework explorations for now as we focus our efforts on systems and champs that need more urgent attention (ie. Runes Reforged follow-up). For the time being, we’re going to look to tweak some things around to be a mix of both pre- and post-rework Leblanc until we have the time to invest deeply in kit explorations again. Are there religions in runeterra? For example, when a person is on their knees, life flashing before their eyes, and they’re told to pray to their god… who do they pray to? the kindred? the mists? asol? wild magics? bard? azir? the crownguards? or are there other religions? tl;dr: Who (or what) a person in Runeterra prays to depends entirely on who they are and where they are. Runeterra is as complex and diverse as our own world, with a myriad of faiths, religions and philosophies. Unlike our world, there are no individual organized religions which dominate globally. Our world building team has been working on the various factions and civilizations that can be found in Runeterra, and this has included exploring the cosmology and religions of those factions. As we publish more lore and storytelling (like our comics), we’ will continue to explore these factions and their individual characteristics, including things such as philosophy and religion. In such a world, religions are much more focused on understanding the will and intent of these powers, divining and communicating with them, worshipping them, and adhering to whatever covenant that power demands. The complexity comes from the blurred lines between gods (as we would understand them) and powerful beings who possess extraordinary powers but not the limitless command of the forces of the universe. In one sense, at least at a local level, it’s probably best to worship the being or celestial entity who is literally present. Make offerings, gain their favor, make requests of them. In other cases, you may want to seek a higher and greater power to save you from those same beings. Like Ancient Greece, the issue is not believing in Gods, —it’s dealing with the wide variety and forms of them, figuring out which of them are benevolent or malicious, and navigating the complex hierarchy of heroes, demigods, titans and deities. What is certainly universal to all religions in Runeterra is that while the hand of a supreme power can be seen in the presence of things like magic, celestial beings and champions, the highest level of cosmic creator is still a philosophical mystery. As indeed is what lies beyond in the afterlife. Why can’t Cassiopeia buy boots but Nami can? Nami doesn’t have legs either, just a fish tail. There’s no particular reason that Cassiopeia absolutely had to have a passive that didn’t allow her to buy boots, as this was mostly done as a means of achieving some gameplay end. In this case, Cassiopeia’s passive allows her to have a special interaction with the shop in which she gets effectively another item slot by virtue of not needing to build boots. Basically, yes, there is a thematic tie here (Cassiopeia has no feet, so it makes sense she wouldn’t need to buy boots), but gameplay is what drove the decision to give her this passive. If, on another character, there’s 1) a need for a new passive, 2) a thematic tie, and 3) a matching gameplay need, it’s conceivable we could do something similar in the future.